Because of the exotic nature of many chemicals and substances in common use today, most local emergency response agencies cannot afford the training and equipment needed to deal with them. So, in August 1993, the Regional Response Team (RRT) Advisory Committee began developing plans for an organized, effective statewide response to the increasing possibility of hazardous materials incidents. 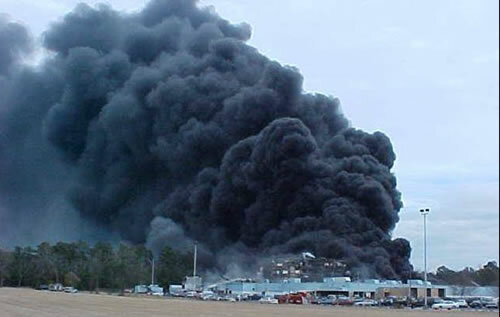 In 1994 the North Carolina General Assembly passed legislation directing the secretary of Crime Control and Public Safety to establish a method of responding to hazardous material emergencies on a regional basis. As a result, six Regional Response Teams were created that same year. Each team is composed of emergency response personnel certified according to State Division of Occupational Safety and Health standards. Team members are qualified to handle a wide range of hazardous materials incidents. At a minimum, each technician must have a Firefighter I certification, plus more than 200 hours of specialized hazardous materials training. The seven teams are strategically located across North Carolina, taking into consideration population centers and transportation corridors, among other things. Due to travel time and distances for a responding team, local emergency response agencies must be capable of "holding the situation" until the RRT arrives. The RRTs do not take the place of local emergency response agencies, nor are they responsible for cleaning up hazardous material spills. Clean-up of spilled hazardous materials is the responsibility of the person having control over the material -the local fire department is not billed for the response. The RRTs are available to supplement local resources when an incident is beyond the first responders? capabilities. Such incidents generally require more sophisticated equipment and hazardous materials technicians who have received a higher level of training. The NC RRT Program is intended to protect citizens and responders alike. It provides all communities, regardless of size or population, with an effective, professional response to hazardous materials incidents in a safe, expedient and cost effective manner. The team's state-of-the-art equipment and supplies are transported in a specially designed tractor-trailer truck, complete with a communications center work area in the rear of the trailer unit. Each unit is equipped with a generator and floodlights, as well as an air-pack refilling station. Each basic truck cost more than $148,000, and is currently outfitted with more than $400,000 worth of equipment and supplies. While funds for equipping, training and managing the teams are provided by the General Assembly, operating costs are recouped from the parties responsible for incidents to which the teams respond.